Born March 11, 1902, at Walnut, Crawford County, Kansas. Died October 15, 1999, at Lawton, Oklahoma. Married January 16, 1921, in Oklahoma. 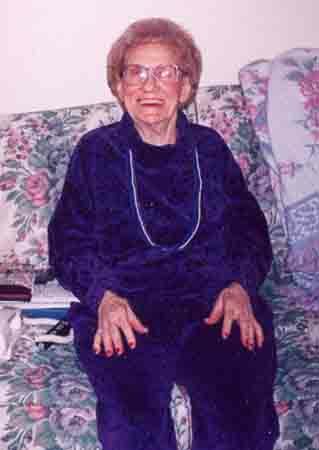 In May, 1991, Bernice had 16 great grandchildren.